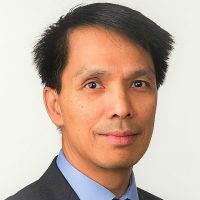 Dr. Puyat’s current research focuses on the use of big data analytics and linked, large health administrative databases to examine the treatment and quality gaps in mental health. Previously, he has completed studies on guideline-based care, psychopharmacoepidemiology, and disparities in the use of mental health services. He also collaborates with other researchers and experts who conduct studies on applied physiology, physical activity, sedentary behavior, ageing, and complementary feeding.